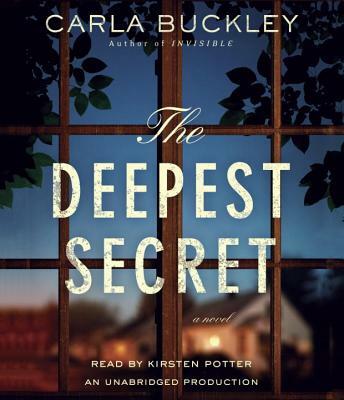 For fans of Jodi Picoult, Kim Edwards, and William Landay, "The Deepest Secret "is part intimate family drama, part gripping page-turner, exploring the profound power of the truths we re scared to face . . . about our marriages, our children, and ourselves. Until the night the unthinkable happens. When tragedy strikes, it becomes clear that this family is not the only one on the quiet cul-de-sac that is more complicated than it appears. And as Eve is forced to shield her family from harm, there are some crises she cannot control and some secrets that not even love can conceal. Deeply moving and stunningly suspenseful, "The Deepest Secret "is a novel of rare power a story about hope and forgiveness, about the terrifying ways our lives can spin out of control and the unexpected sacrifices that may save us. Praise for "The Deepest Secret"
A taut family drama . . . smart and thrilling. "People"
Elegant, poignant, and utterly riveting . . . a suspenseful tale of love, forgiveness, and sacrifice that will leave you asking how far a mother really should go to protect her family and wondering about the cost of the secrets we all keep, even from ourselves. Kimberly McCreight, "New York Times "bestselling author of "Reconstructing Amelia"
Exceptionally moving and unrelentingly suspenseful . . . everything a great novel, and thriller, should be. " Providence Journal"
Carla Buckley masterfully portrays an ordinary family trapped in a heart-wrenching crisis. William Landay, "New York Times "bestselling author of "Defending Jacob"
Fans of Jodi Picoult will enjoy this compelling blend of ripped-from-the-headlines suspense and close-to-your-heart characters. Lisa Gardner, #1 "New York Times "bestselling author of "Fear Nothing"
Carla Buckley is the author of "The Deepest Secret, Invisible, "and" The Things That Keep Us Here, "which was nominated for a Thriller Award as a best first novel and the Ohioana Book Award for fiction. She is a graduate of Oberlin College and the Wharton School of Business, and lives in Chapel Hill, North Carolina, with her husband and three children. She is currently at work on her next novel, "The Good Goodbye."